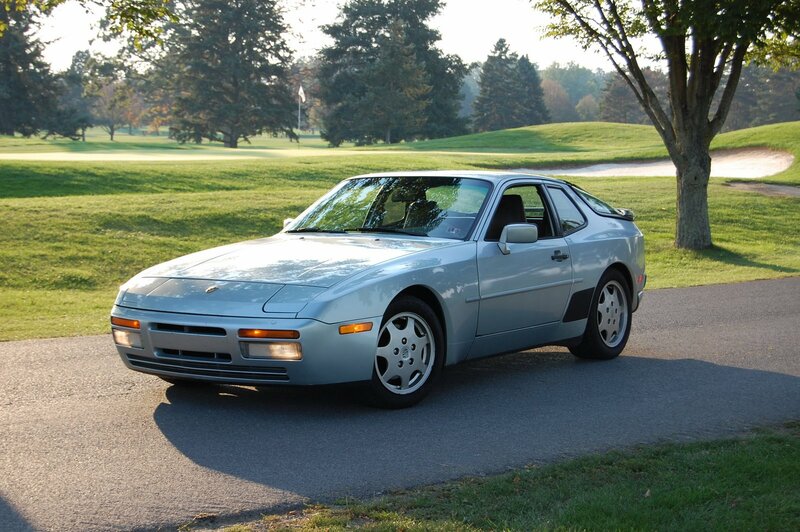 The Porsche 944 is one of the more common models you’re likely to see on the road today. There were a lot made, they’re robust, fun to drive, and relatively inexpensive. What’s not so common however is the 944 S2. The car tested here is a 1991 944 S2. This was the last production year of the 944 series before Porsche replaced it with the 968. Only 510 of these 1990 S2s were imported to the United States, 3118 being made total that year. The 944 S2 is powered by an absolutely massive 3.0 litre, inline, water cooled, four cylinder engine capable of 208 horsepower. It utilizes balancing shafts to keep all that reciprocating weight running smoothly. The standard 944 only boasted a 2.5 litre unit. The powerplant drives the rear wheels via a torque tube running to a rear-mounted 5-speed transaxle. Performance quotes for the S2 are quoted at 0-60 mph in 6.7 seconds and a top speed of 152 mph. The car tested belongs to my friend and fellow Porsche enthusiast Trevor Novotnak of the Pocono region PCA. I’ve had he opportunity to drive this vehicle several times now, and each time I continue to enjoy it a little more. This car has over 150,000 miles on it now, but thanks to proper maintenance and care, it’s still very fresh and willing to show you a good time. A trait of all 944s is a very Audi-like feeling about the way it’s built. No surprise considering the 924 upon which it is based was originally intended to be an Audi model. Close inspection will reveal several bits of Volkswagen/Audi parts scattered around through the machine. This isn’t to say however, that this car should be thought any of any less for it. It is a very well made car and even though you may open the door with the same handle as an Audi 5000 or Volkswagen Scirocco, it will close with a very reassuring thud just the same as any modern Porsche. You sit low and outstretched in the 944 just as you would in a 914. The seats are the same you will find in a later 911 and are stiff, comfortable, and wrapped in perforated leather. The shift lever is well placed on the transmission tunnel and behind a somewhat typically Porsche – and rather un-sporting – four spoke wheel with an airbag, is a classic set VDO gauges. The interior is rather plane, but well equipped, nicely ergonomic, and well constructed. The rear seats are fairly useless for more than a luggage area unless you have no legs. They do fold down to allow for more space under the fastback lid – a feature that can be useful if the large removable roof panel is stowed there. A twist of the key brings that big four to life and a sonorous, deep burble comes from the exhaust. While it may not sound like a flat six, it’s an exhaust note you’d be proud to have behind you. The clutch is weighted nicely, though it lets out rather high and can be a tad tricky until you get used to it. The shift linkage is precise and the throws are typical of a Porsche- not very short, but allowing enough room to be pretty sure you’re selecting the right gear. On the street, this is a very easy stoplight-to-stoplight driver. It won’t really show its attitude unless you ask it to. With a quick stomp on the accelerator the demeanor changes instantly and a flood of torque is sent to the rear wheels and the S2 is all too willing to do a power slide for you. That being said, it’s nothing a good driver won’t feel confident about though. The steering is a little on the heavy side but very responsive and while when driven hard this car is a bit of a beast, you won’t be too worried about any unwanted off-road excursions. When pushed hard into a turn, it’s pretty neutrally balanced for a front engined car, though there is a slight tendency to under-steer unless enough throttle is applied to compensate. All in all, this is a damned fun sports / touring car that you can use daily and not sacrifice comfort or drivability. It’s well made, reliable, and way cooler than most anything that would compete with it. >There’s a dark gray one of these for sale at a used car lot down the road from me. I’m sure it’s not a S2, but they want $5k for it. Been sitting on that lot for about 2 years though.